Martin Azarian is an experienced Minnesota criminal defense attorney who has a proven track record of getting the results his clients want. When you or a loved one has been charged Theft, Shoplifting, a DWI or other crime your lives can change significantly. Whether the charge is a DWI, a Theft-related offense, Domestic Assault, Drugs, a Misdemeanor, Gross Misdemeanor, Felony charge or serious traffic offense, it is important to have aggressive, experienced, trusted and respected Minnesota Criminal Defense Attorney on your side. Call Martin Azarian, he has over 21 years of criminal defense experience, nineteen years in Minnesota. 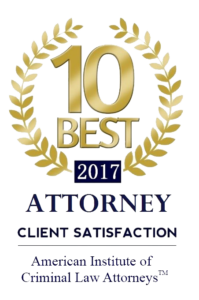 He has the criminal defense experience and and a reputation for getting the best results for his clients. If you are about to be charged, or if you have been charged with a crime do not speak to anyone about your case other than your attorney. Remember, you do not have to talk to the police. In fact, you should not speak to the police at all. Talking to the police may limit your defenses, it may place you at the scene of the crime, and it may prevent you from asserting certain defenses. Do not wait for a Summons or a Complaint or a court date to come in the mail. If you do, you may discover that you have lost a number of your rights. There are certain defenses that you may be entitled to and a criminal defense attorney can help you identify and use those defenses. Martin Azarian will give the advice and representation you need to help you obtain the best outcome for you. Martin Azarian has been practicing criminal law and has developed a no-nonsense reputation. He is a tough negotiator who is well respected amongst the Twin Cities legal community. He has represented thousands of clients. Contact the Law Firm of Martin S. Azarian Criminal Defense, P.A. today by calling our office at (612) 343-9000 or call 24 hours a day at (952) 451-4987 for a free initial telephone consultation.